If you want to teach children something, use stories. Story telling is fun and most importantly it’s the most effective way of teaching. Children attracted to stories like bees to honey. Instead of using cold hard facts (Yawn, yawn. Most kids have a hard time digesting facts), try using a story to tell your child about a lesson or value in life. Also story telling can be used to explain abstract concepts to children. Recently I use water as the metaphor to explain the importance of flexibility to J and K.
I told them to be like water. Like river, if you hit an obstacle (rocks), find a way around it. Don’t hit it head on. Plus just as water follows the shape of container that contains it, we must learn to be as adaptive to our environment as water. Two main values I want J and K to learn from water are: flexibility and adaptivity. After a few days telling them the story, K was frustrated with his remote control car. The batteries were low and the car wouldn’t move. He was mad. Probably at me. I reminded him of the story of the water. He slowly picked himself up and looked for alternative toys to play with and forgot about his “problems” with the remote control car. Instead of focusing on something that is not working and crying over it, K learned that he’d better be flexible (like water) and do something else. I also learned that whenever they hit a roadblock, I will remind them the story I told them about water. I don’t need to say anything else. Short and effective. In fact, story telling is equally effective to adults as well. Did you realize that I just used my own story to relate my point to you? 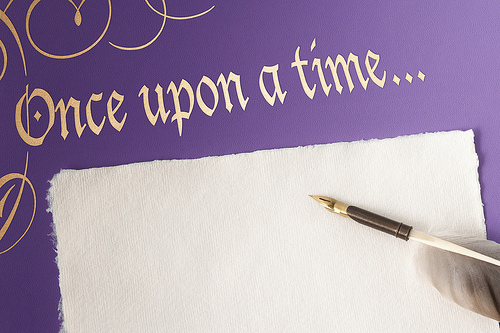 It’s more interesting than telling you in bullet points the importance of story telling. You agree?